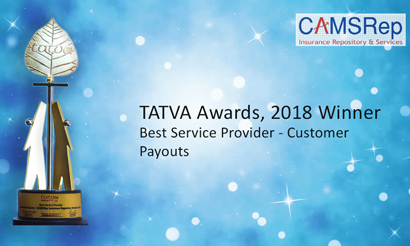 CAMS Insurance Repository Services Limited was honored as the Best Service Provider with the prestigious TATVA award by ICICI Prudential Life in the year 2018. 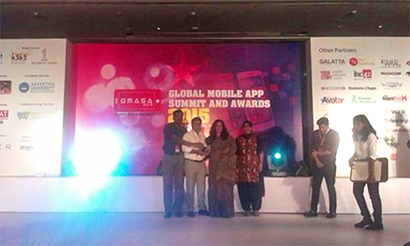 The award was for our outstanding contribution in the Customer Pay-out process. 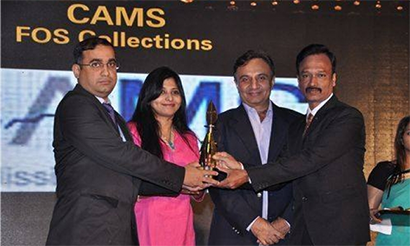 CAMS Insurance Repository Services Limited was honored with the prestigious TATVA award by ICICI Prudential Life, a leading Life Insurance company in India, for outstanding contribution in the persistency process via the Feet on Street model in May 2015. 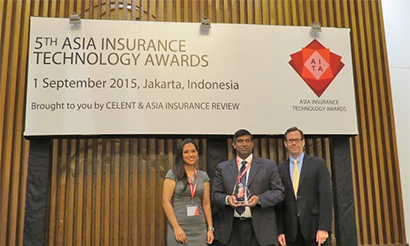 CAMS Insurance Repository Services Ltd won the prestigious ‘Asia Insurance Technology Award 2015 for Insunet’ & 2017 for iCARE. Corporate excellence awar by World CSR Congress. 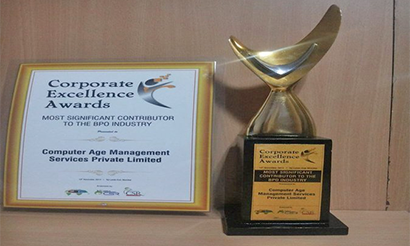 CAMS wins Corporate excellence award on 13th November 2014 for being the Most Significant Contributor to the BPO industry – Award by World CSR Congress.